After 27 years, Rick has decided to spend more time fishing than replacing guitar strings. 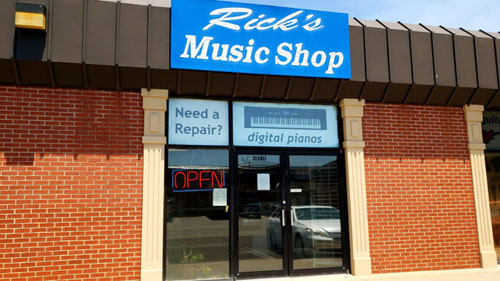 We're proud to continue the Rick's Music Shop tradition of honesty and personable service! We have recently added band and orchestral instruments for sale and rent, along with Yamaha pianos and keyboards. We also now stock band and orchestra accessories.